The artist’s studio. A place to be creative. A house plan these days will often include two or three bathrooms, a home movie theatre and a double garage, but very rarely does it consider the need for a special place for creativity. I’ve been thinking about this since I visited Hans Heysen’s studio in Hahndorf in South Australia. Hans Heysen was an acclaimed artist, a German who settled in Australia. His stone-built studio is located high up on his sloping property, positioned perfectly to take in the view of the eucalypts and cedars in his garden. Clear daylight streams into the building through enormous windows that fill its south-facing wall. The studio stands apart from the house where Heysen lived. Apart both by location and appearance. 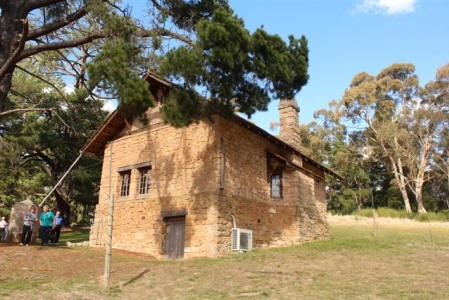 A national treasure, it is said to be the oldest artist’s studio in Australia. So much love, time and money was spent on this building. The artist commissioned a local Hahndorf firm to build it, using raw materials from the area. He worked closely with a team of architects to perfect the design. The resulting studio is faintly reminiscent of an alpine lodge, but in sturdy local stone. It is a man’s building, solid and strong. Inside, you can see it is more than Heysen’s workshop, more than somewhere to keep his tools of trade, his paints, charcoal sticks and brushes. The essence of the man is here. The house, it could have belonged to anyone. Heysen loved nature. He loved painting the day to day agricultural activities in and around Hahndorf and was deeply inspired by the stark, majestic beauty of the nearby Flinders Ranges. He toured the area to find his subjects, deftly capturing light and shadows with his charcoals, drawing from life, outside in the open air. Returning to his studio, he painted from the black and white preliminary drawings, reproducing by memory the fall of the light, the tints and hues of the natural world. His oil paintings document his time and his place, giving us a secret window into South Australian life in the early twentieth century. Perhaps that is how creativity works. We live, we love, we travel. We see for ourselves the beauty and the dark horror of the world, then we return home to our special place, our studio, to interpret these experiences in our own unique way. In the process of creating something from our experiences and our emotions, we understand ourselves better and communicate more deeply with the people around us. We can’t all build a self-standing studio, like Hans Heysen. We can’t all afford that luxury. But, a desk, a shed, a special corner of a room? That’s possible. You might say you are not creative, not an artist. Think again. You might not use a paint brush, but your unique work may be produced with a welder, a camera, a garden trowel, a drum machine or a laptop computer. Creativity takes many forms. How different would our world be if every house included a special place set aside solely for us to be creative? How different would our lives be if we valued art and creativity that much? Build yourself a studio. Who knows where it might lead. This entry was posted in Going home and tagged Art, Australia, Creativity, Hahndorf, Hans Heysen, South Australia, Travel, Writing on 26/06/2014 by Deb McSephney. 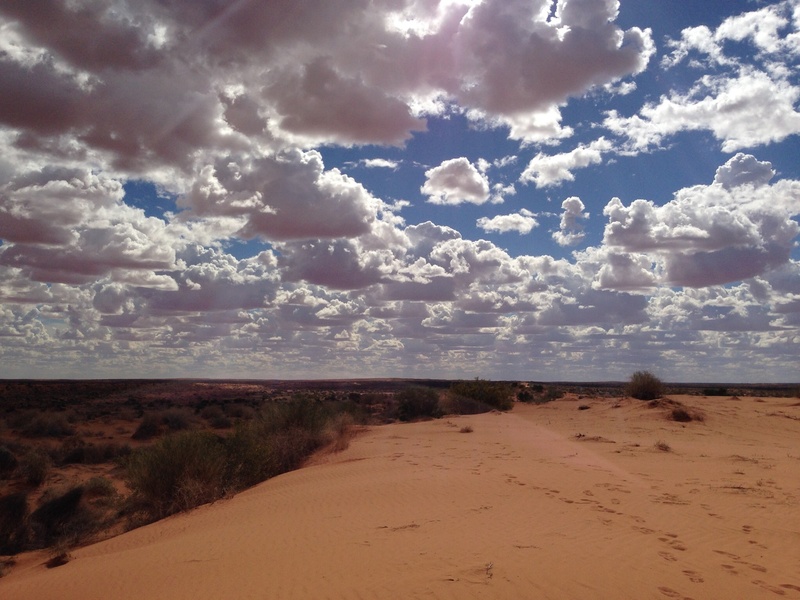 Here’s a missing post that was written on our second day in the Simpson Desert. It didn’t make it up on to the blog, so it’s a bonus for you today. Refreshed from a night of deep sleep in the warm, dry desert air, we breakfast quickly and make an early start on the road again. Once again we are making our way over and across the parallel waves of sand. The dunes rise and fall in front of us, creating a rhythm of their own. The rhythm is hypnotic, up and down, up and down. We become part of the song of the desert as we climb to the crest of each dune and then drop away to the trough. The note of the engine rises and falls as gears change. The drivers are focused, selecting the right gear, choosing the best track to make their way over the dunes. They cannot help but move to the beat of the desert’s song. It is a beautiful song. Red sienna dunes rise from grey sandy troughs. Clawed tree branches clutch at the pastel blue sky. The colours change in time with the rhythm created by the shape of the land. Up and down, up and down. As we drive deeper into the desert, the colours grow more intense. The channels between the dunes are dotted with squat bonsai-like trees, yellow flowers in silvery grey foliage. The desert is beautiful but hers is a harsh environment. To survive here, plants must live in an arid sandy soil under the fierce glare of the sun. They defend themselves from dehydyration by growing a silvery armour on their leaves and holding on tightly to any water that falls, storing it within. Life in the desert is always on her terms. We cross paths with a group of fellow travellers in Land Rovers. They have decided to ignore some of the desert park rules and are not pleased to be reminded of them. Live and let live, but safety must come first in the desert. You can lose your life here, or cause others to lose theirs. As the the sun rises into the sky, the colours around us deepen. The sand blushes in pastel red and orange hues, complimented by the milky blue sky. And still the rhythm of the dunes beats on, up and down, up and down. We lunch quickly, keen to make progress on our journey, impatient to rejoin the hypnotic rhythm. We drive on. In the early afternoon we come to the first of many salt lakes, empty estuaries that are part of the great inland water system that runs into Lake Eyre. Lake Eyre is fed by a network of channels and waterways that stretches all the way to the East coast of Australia and far to the North and South. It may be the last truly unregulated lake catchment system in the world. Water flows as nature intended, as it has for millions of years. For now, the salt lakes are dry and wait patiently for water to come. Salt has crystallised on the exposed surface of the lakes, forming a crisp white crust that is strangely reminiscent of an early fall of snow in colder climates. The lakes break the rhythm of the dunes. They are flat and even. We drive across them with ease. The pure white of the salt contrasts with the red sand and sparkles in the bright sun light. Here and there the pristine salt surface of the lakes has been disturbed by the tyre tracks of errant drivers. Man leaves his mark. The coloured sand flags on our vehicles wave to and fro as we drive around Lake Poeppel to Poeppel’s Corner where three state lines meet. 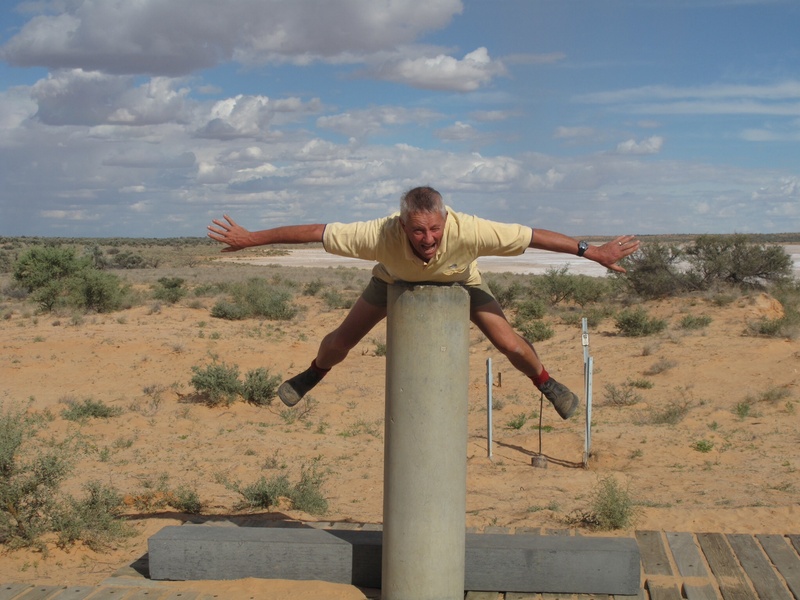 We find the marker post and prove that it is possible to have your photo taken with one arm in Queensland, one arm in the Northern Territory and your legs in South Australia. This is most impressive when it is achieved by lying stomach down on the marker pole, legs and arms stretched out like a starfish. Those who attempted this will take home an unexpected souvenir, an imprint of three state names on the sensitive skin of their stomachs. But it had to be done! As the afternoon draws on, the sky fills with hundreds of flat bottomed clouds, brilliant white on top and a dusky pink grey below. Is it going to rain? We rejoin the rhythm of the dunes, up and down, up and down, rock and roll, rock and roll. 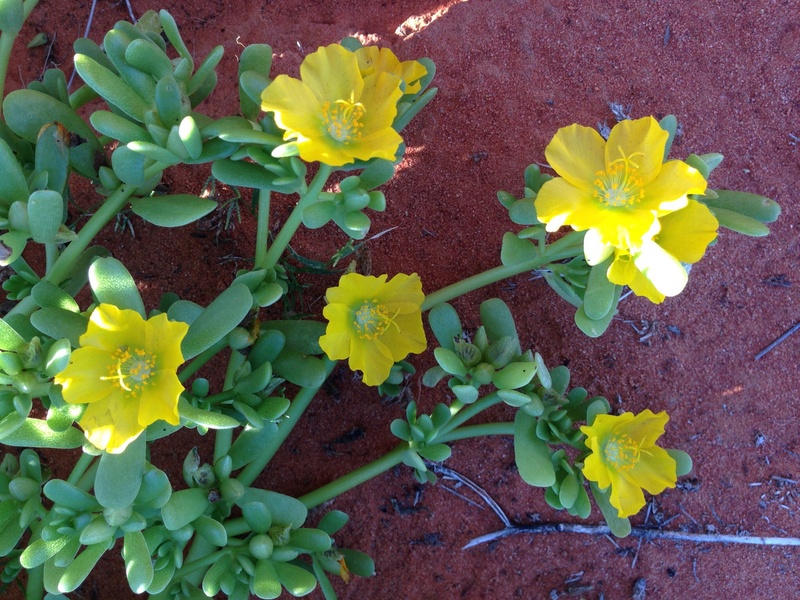 Red sands blush more deeply and clumps of bright yellow flowers add another colour to the desert mix. It is time to call it a day and we pull in to a perfect camp spot. The fire is soon alight and we end the day with a camp oven roast, much laughter and Malcolm’s memorable impersonation of Elvis Presley. The evening is cut short by a shower of unexpected desert rain. We take to the shelter of our tents and lie in bed listening to the sound of raindrops as the subliminal background rhythm of the desert beats on. 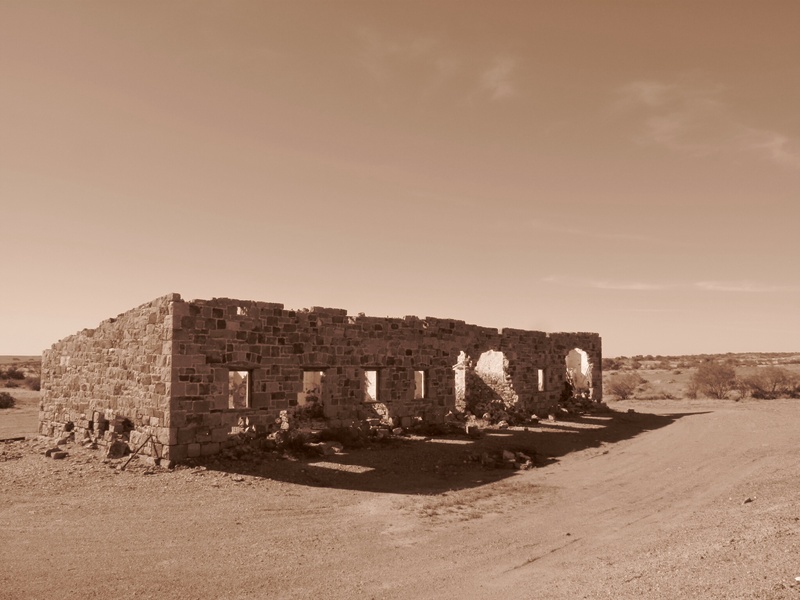 This entry was posted in Desert, On the road and tagged Australia, desert, Poeppel, Red Centre, Road trip, Simpson, Travel on 22/06/2014 by Deb McSephney. This journey has given me a new perspective on Australia, the continent and the country. I’m new here. I will always be an outsider looking in. But, am I so different from the majority of Australians? 12 years, 60 years, 230 years, how long before we truly belong? We all huddle together on the coast, safe in our hustle and bustle, living our remote version of the European lifestyle. Out there, not so many kilometres away, the ancient heart of Australia beats on. Travelling through Europe, I’ve marvelled at the sights, sounds and tastes of different cultures. I’ve stared in wonder at the remnants of great civilisations, Roman, Greek and Ancient Briton, and sought my origins in the stories of my Anglo-Celtic ancestors. On the North American continent I’ve admired the natural beauty of the Grand Canyon, the Arizona desert and the Colorado mountains. But never before have I been touched by the spirit of the land. What was it about this journey and this continent that was different? Was it me? Am I at an age where I am more receptive to the unseen, intangible feeling of a place? Or is this the natural response to travelling in a land that resonates with an unknown, mysterious past; a land where we do not truly know what layers of human history lie below the superficial patina laid down since our recent arrival? Somehow, the red centre has a power that transcends human history. The never-ending expanses of shining flat gibber plains, the strange otherworldly forms of the rusty red mesas and escarpments, the ochre sands and crystal clear water holes. They were here before us and they will continue to exist long after we have made our mark. This may also be true of the continents of Europe and America, I have never felt it so keenly before. How insignificant we seem in these wide open landscapes. And yet, there is a sense of the sacred here, in the nature of the land and in our inescapable attachment to it. The aboriginal peoples are another mystery, unknown to me as they are to most modern Australians. I’m confused by the apparent contradictions. They have an innate feeling for the land, but leave the debris of modern life piled high near their communities. I’m saddened by the history of our dealings with them. I hope the knowledge of the people who have inhabited this land for tens of thousands of years will not be lost, that somehow we can find a way to come together to listen and learn. But, I’m not naive enough to imagine this will be easy, or perhaps even possible. The barriers seem too great. I loved my journey into the red centre of Australia. I loved the companionship of my fellow travellers. I loved the new experiences. 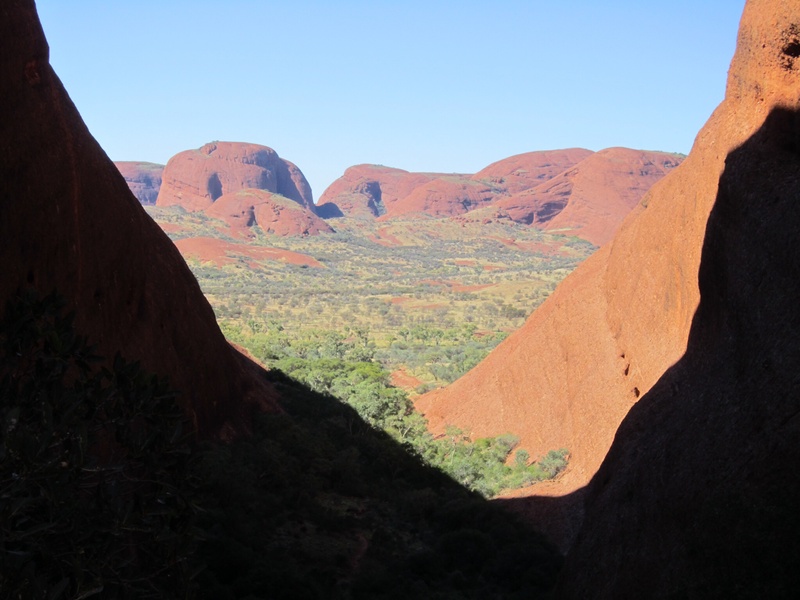 I have treasured memories – a campfire circle on a starlit desert night, a swim in cool clear water under pink and gold cliffs, a dingo in the desert, the crisp white expanse of salt lakes, the taste of fresh made damper and the magnificent splendour of Kata Tjuta and Uluru. But greater than these, I’ve come away with an unexpected feeling, a respect and awe for this vast and ancient land. This entry was posted in Going home and tagged Australia, Travel on 18/06/2014 by Deb McSephney. It is 11 degrees C when we leave Yulara. 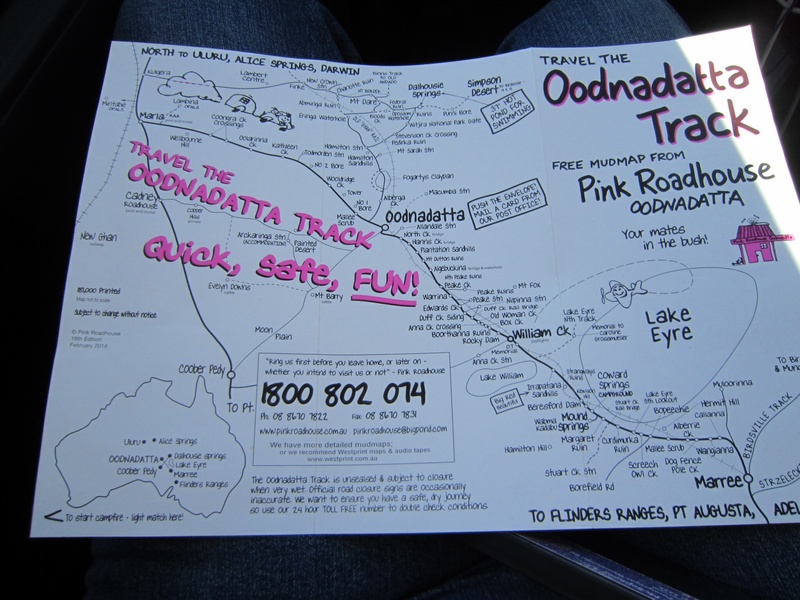 We have a day of driving on outback roads ahead of us. Turning off the highway after Curtins Creek on to Mulga Park Road, we stop to deflate the tyre pressure to cope with the sandy terrain. 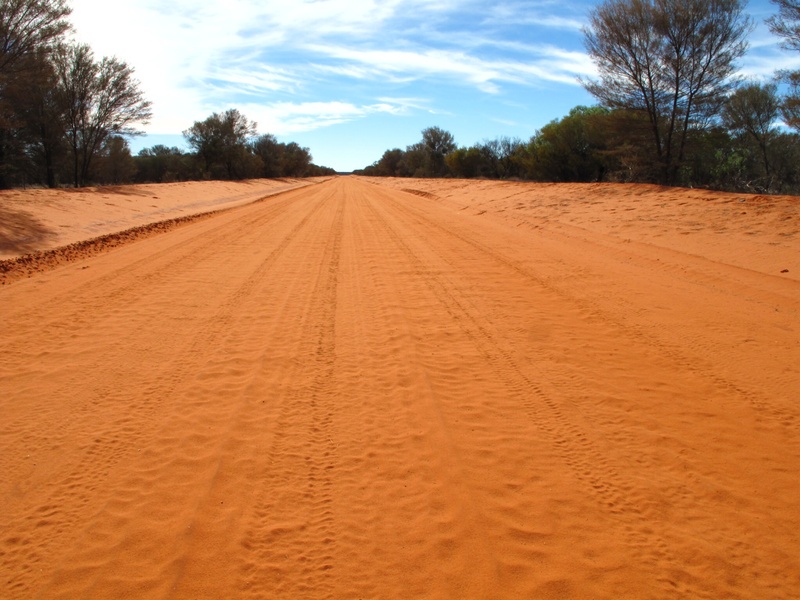 Mulga Park Road is a wide roadway, scooped out of the red earth. No frills. The road lies well below the level of the land around us. 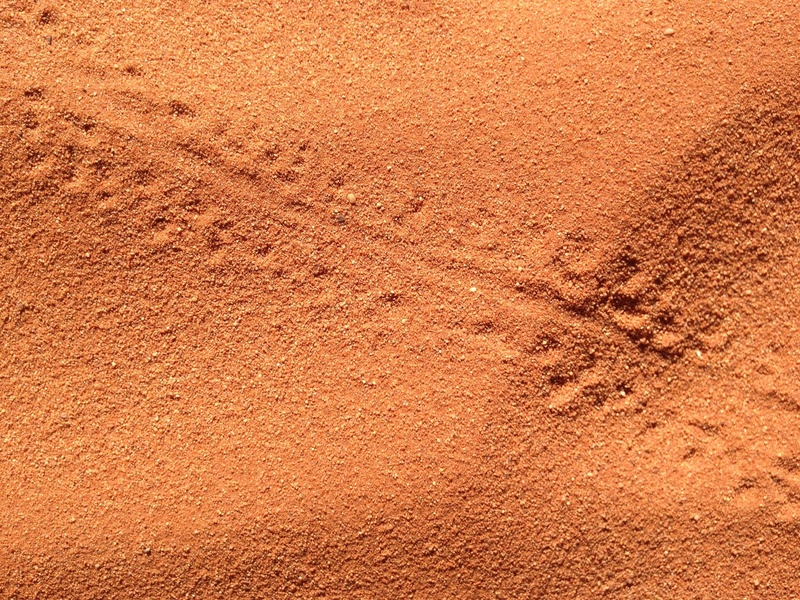 I see camel tracks padding along side the roadway and we keep our eyes peeled for unexpected pedestrians. The combination of sand and gravel rattles our bones as we drive along. We pass the mighty Mount Connor, a flat topped mesa monolith that we had mistaken for Uluru from a distance a few days before. 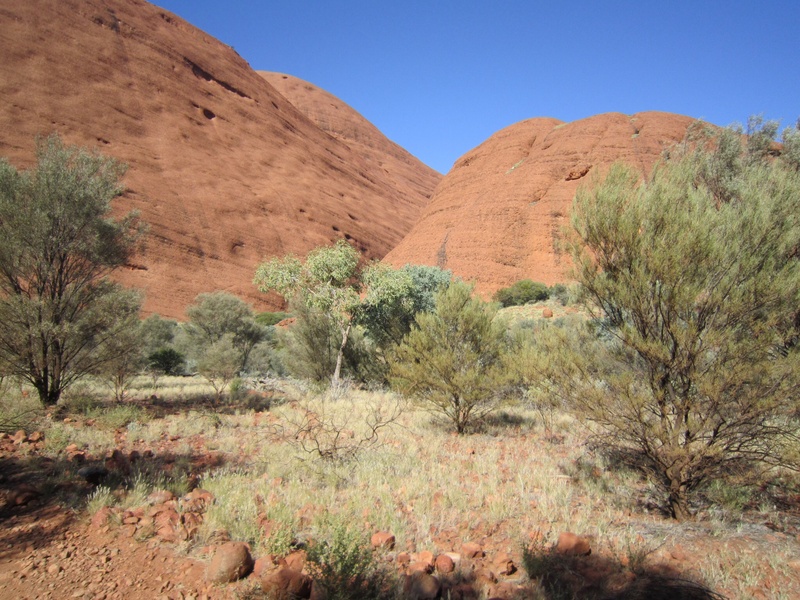 It is part of the same ancient family that created Uluru and Kata Tjuta. This is the first time we have driven off the beaten track on our own and we are a little nervous. 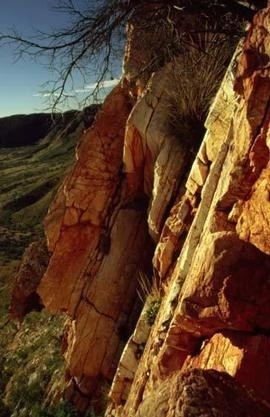 I keep a watch on the rocky red cliffs that run alongside the road, on the lookout for camels or cattle. Richard drives with one eye on the road and one on the tyre pressure indicators. “Camel”, I shout. A small buck camel stands by the side of the track, chewing. He looks up and watches us as we drive slowly by. He’s not bothered in the slightest. 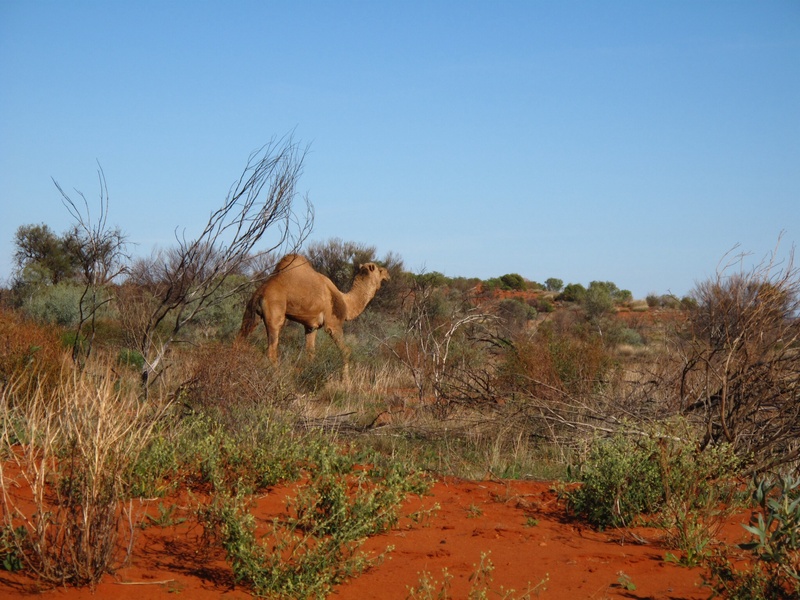 He’s the first wild camel we’ve seen on our outback trip, although we are told there are a million camels running wild in Central Australia. He looks rather cute. We see dust approaching and a Landcruiser passes, giving the outback salute. Two fingers are lifted from the wheel and the head nodded slightly. A few minutes later we disturb two emus feeding in the scrub. This lonely road is busier than we imagined. The Curtin Springs station homestead comes into view and we turn left on to the Old Gunbarrel Highway. 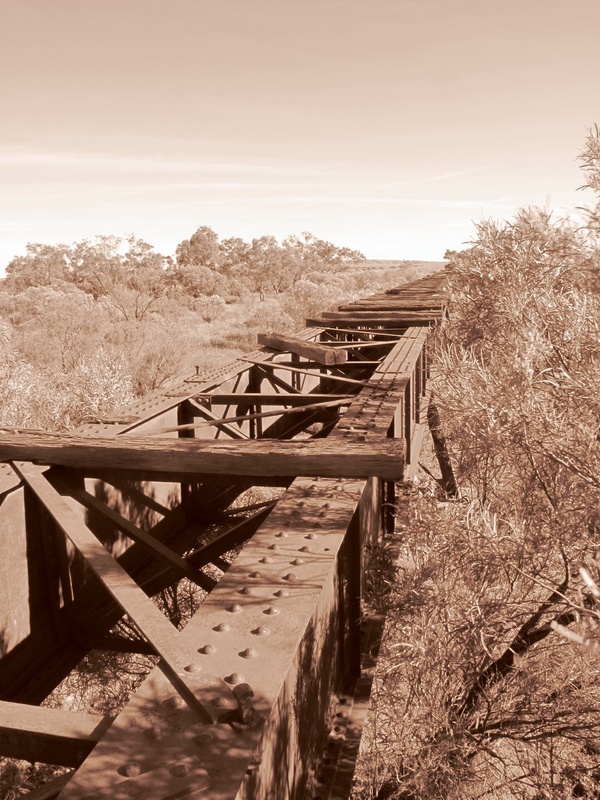 We have been reading the tales of Len Beadell, the man behind many outback tracks, including this one. The road is named after the Gunbarrel Road Construction Party he formed to build it. 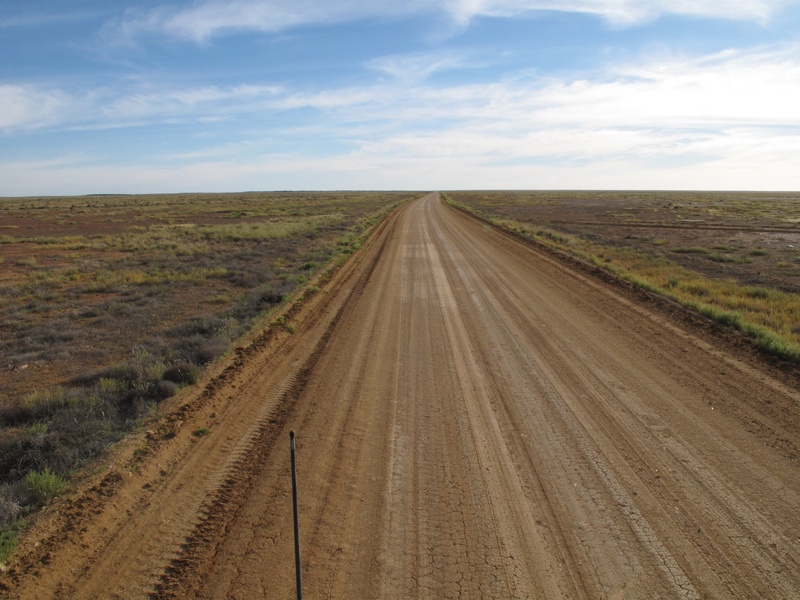 The name indicates their intention to build a dead straight road from East to West across Australia. He admits it should perhaps have been called the Corkscrew Road, but the name stuck and was adopted by the mapping authorities. With typical Aussie humour, he referred to all the roads he bashed through the bush as highways, and that stuck too. 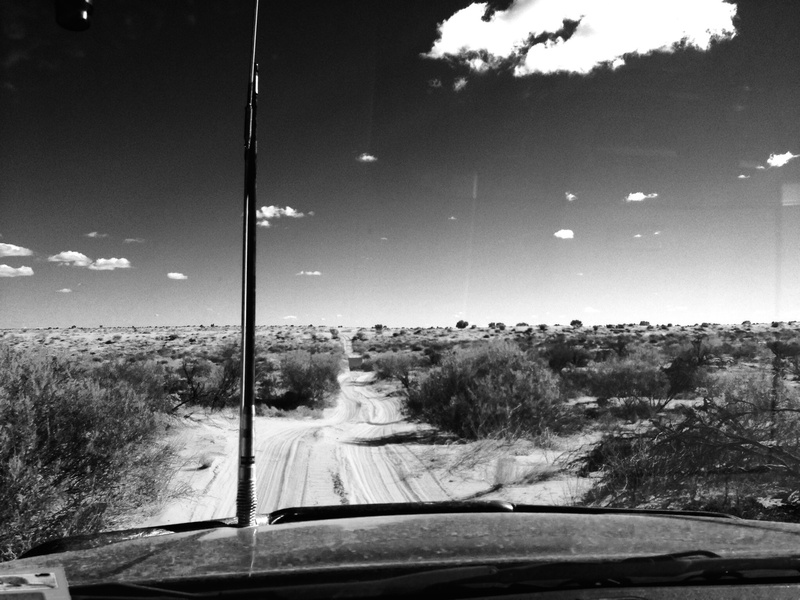 We bounce along over the corrugations and weave to and fro across the highway to find the smoothest path. The land looks fertile, grasses and Mulga trees are growing with vigour. The palette is minty olive green on dark red ochre sands. Some well fed cattle peer out from the scrub and kick their heels up as they scatter on our approach. 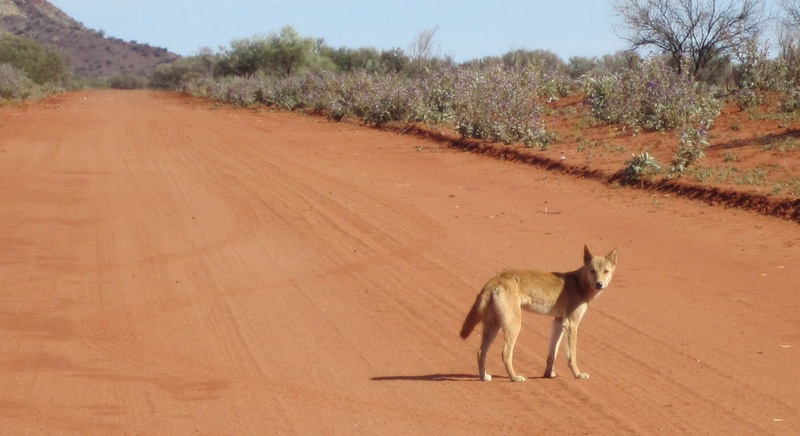 There’s a rapid movement, a flash of blonde fur, and we see a dingo on the side of the road. We slow down to take a look. The wild dog trots into the road and looks at the car. He’s curious. Then, turning his head back every now and then, he continues on his way. We are enjoying the vibrant colours of the scenery and the varied animal life along the way. The road stutters to a rugged, rocky end and we are once again turning on to the Stuart Highway. 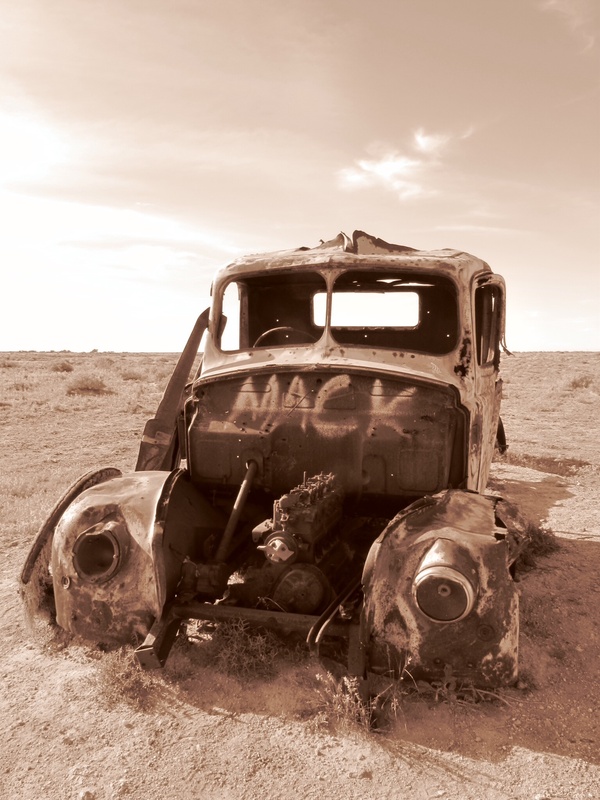 This entry was posted in Going home and tagged Australia, Outback, Travel on 11/06/2014 by Deb McSephney. Kata Tjuta plays second fiddle to Uluru, her big brother. He dominates the national park they share. The Rock has become so well known overseas as an Aussie icon that it rivals the Sydney Opera House as “the” Australian tourist drawcard. 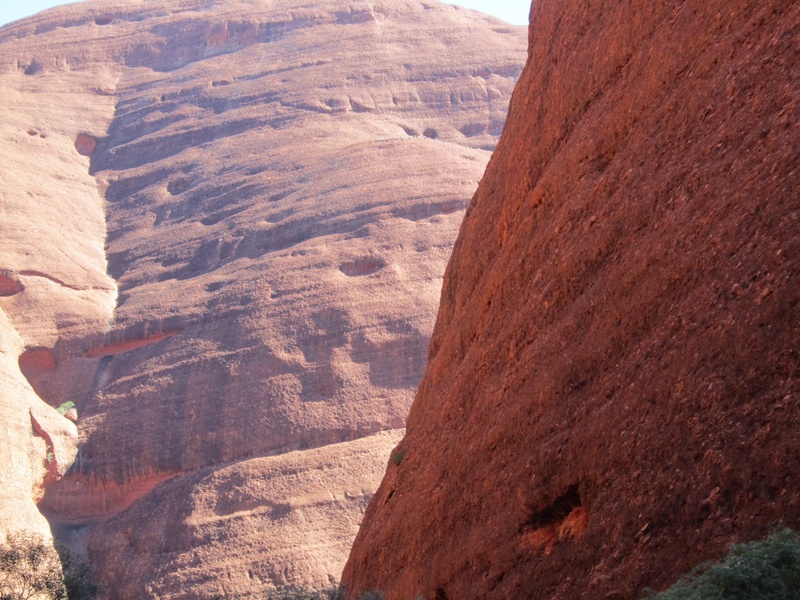 Few tourists have heard of Kata Tjuta, even under their former name, The Olgas. But, they are really missing out. Kata Tjuta is remarkable. 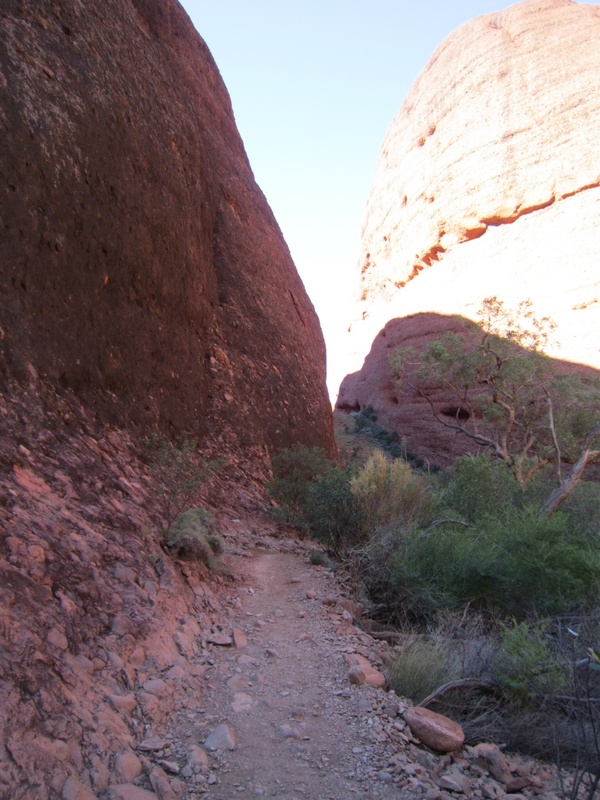 Today we are planning to take the Valley of the Winds walk into Kata Tjuta. It is one of two walks that are still open to tourists. Most of Kata Tjuta is closed now, except to the local aboriginal people who come here to carry out their traditional ceremonies. From a distance, Kata Tjuta seems to bubble up out of the depths. There are thirty six curvy domes in this cluster of rocks. 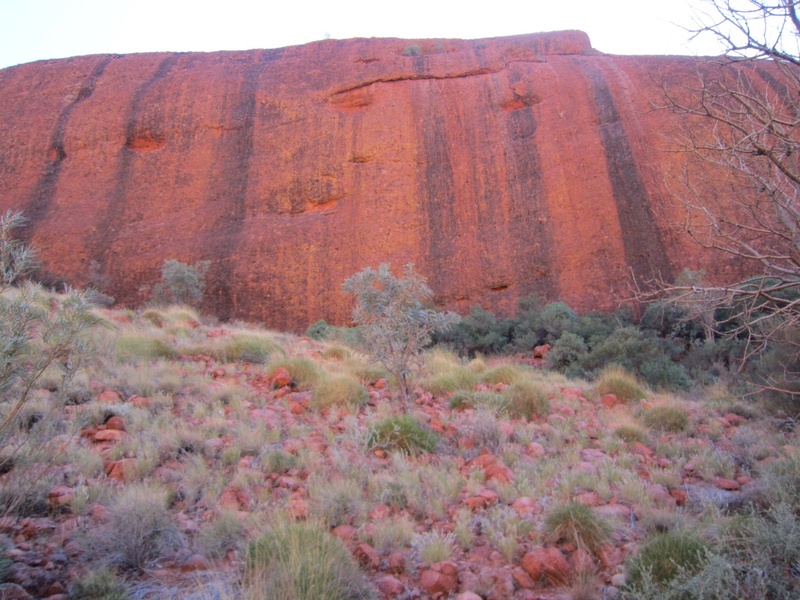 She shares her colours with Uluru, the same dark red rock, the same sultry burgundy shadows. It is another cool, bright day. We trudge up the sandy path from the car park to the start of the walk. It is not busy, but there are a few walkers here. Some Germans stride by dressed in full walking regalia, carrying walkers’ sticks. A group of twenty somethings straggle past, chatting in French and Spanish. A Scandinavian couple stroll along, she has one bare foot, one clad in a walking shoe. It is not clear why. We are lucky, the cool breeze seems to be keeping the flies away. No need of the fly net today. 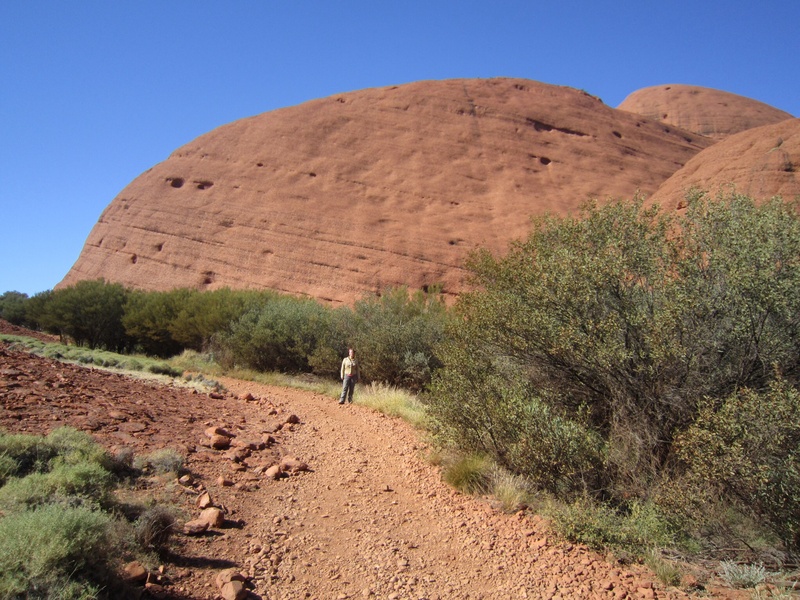 As we walk into Kata Tjuta, we are immediately in awe at the size, shape and texture of the red domes. We pass into a channel between two towering walls of rock. The sound of the wind grows louder but changes in nature. I hear waves breaking on a beach. It’s a calming, relaxing sound, like the womb noises modern mums play their babies as a lullaby. Although it is 11 o’clock in the morning, the sun has not risen high enough in the sky to warm all of the rocks inside the channel. As we walk the sun begins to scale the last rocky barrier and sets a dramatic contrast between the dark shadowy rock on our left and the glowing pink red slope, bathed in sunlight on our right. We pick our way carefully between the two, yin and yang. The path turns to the right and we are walking into a valley, lush and green around a dry creek bed. Zebra finches flit through the trees around us. Budgies wheel and turn, flying between us at head height to investigate who goes by. The huge red rocks cradle us. We are held in a Kata Tjuta embrace. This is a magical place. I feel the same nurturing power I felt at Tnorala, the site of the celestial impact. 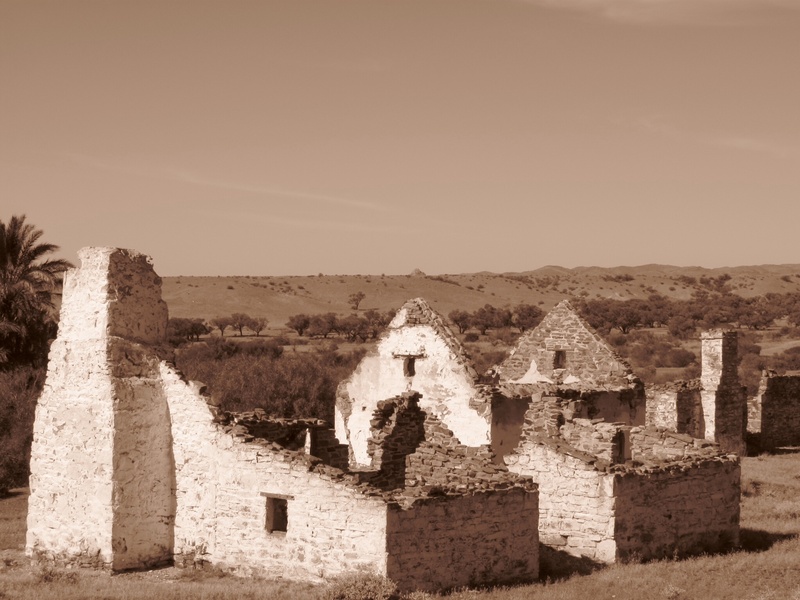 I have heard some people suggest that sites that are still cared for by the ceremonies of their local people retain a power that was once felt across the land. Perhaps there is some truth in that. Looking up as we walk along, we see curves, hollows, rounded caves and pools high up in the rock. The varied shapes work as one to sing a harmony in stone. A note called in one cave is echoed in a hollow below and forms a chord with a triplet of pools on the opposite wall. The rock sings in the wind. 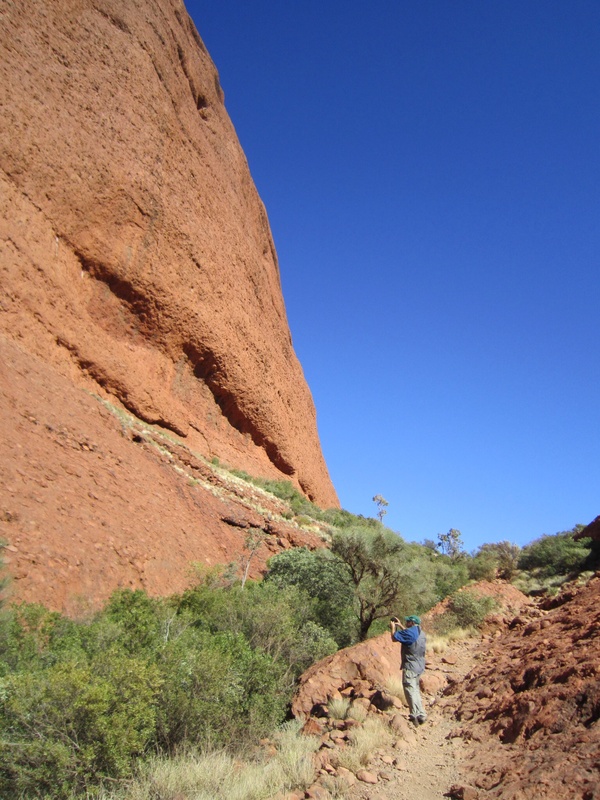 We climb further into the centre of the red domes of Kata Tjuta. We scramble up steep, slanting faces of rock and stand in a cavern that glows pink red then darkens to shadowy blue black. Birds fly high above us and perch on ledges on the rock faces, singing their songs of freedom. The path becomes steeper and more challenging. The rock falls away beside us to another fertile meadow filling the rocky landscape with trees and grasses found only here in this unique ecosystem. We climb higher and higher. Knees begin to feel the strain as we lever ourselves up the rocky path. We can’t see the top of this climb, but we can hear the voices of walkers ahead of us. Finally, we reach the summit of this testing red rock track and look through a natural window on to an expanse of green, a heavenly valley. We gaze out from the darkness of our perch to the sunlit valley below, like birds preparing to take flight. Sitting still and reflecting on the view, we become cool after the exertion of the climb. Time to move on. We complete the walk, drinking in the unique sights and sounds of this place. Eventually we find ourselves back on the path to the car park. We pass walkers who are on their way in and smile a greeting. They will understand when they return. 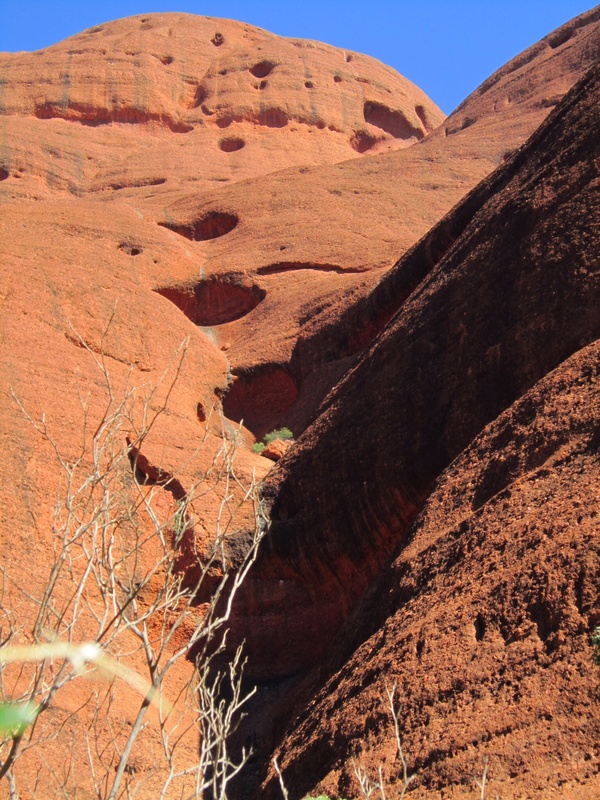 This entry was posted in Going home, Walks and tagged Australia, Kata Tjuta, Outback, The Olgas, Travel on 11/06/2014 by Deb McSephney.